HomeYour Tuesday Afternoon Alternative and Summer Shows! Your Tuesday Afternoon Alternative and Summer Shows! 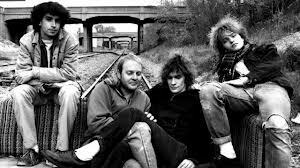 This week we are celebrating a Replacements reunion, The Connells playing out, and many great live shows and festivals to get excited about this summer! We will be playing a combination of new and older indie music with an emphasis on bands that are playing this summer. Join Mrs. Dr. J and Dr. J for Your Tuesday Afternoon Alternative tomorrow from 3-6pm on wudr.udayton.edu and 99.5 and 98.1 fm in the Dayton area!